Championship side Jersey have boosted their front-row options for next season with the signings of Danny Herriott and Ben Rogers. 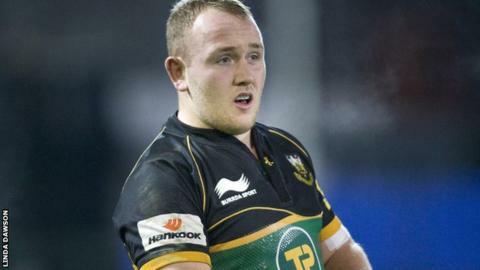 Loosehead prop Rogers, 21, joins from Plymouth Albion where he made more than 30 league and cup appearances. Herriott, also 21, has been playing as a dual registered player with Loughborough Students this season. The islanders have also confirmed full-back Jack Burroughs and front-row Sam Lockwood have signed new deals. Jersey-born Burroughs broke into the first team this season, making his league debut at Moseley in December and has featured in every match since. Arguably his best moment so far came when he scored with the final move of the match as the islanders claimed a in February. Lockwood has been with the club since January and has made six appearances for the Channel Islanders. "I'm really pleased that the squad for next season is taking shape," said head coach Harvey Biljon. "The majority of the pieces should be in place by the end of April and we will make further announcements during the rest of the month. "Jack Burroughs has gone from strength to strength and earned the good run he's had in the number 15 shirt during the second half of the season. Sam Lockwood has also impressed and provided genuine competition in our front row during his time here." Jersey are battling against relegation from the Championship but could secure a third season in the second tier of English rugby if results go their way this weekend.